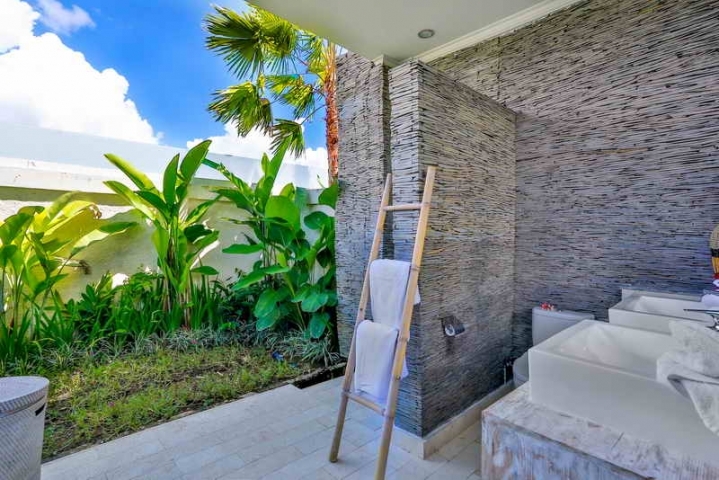 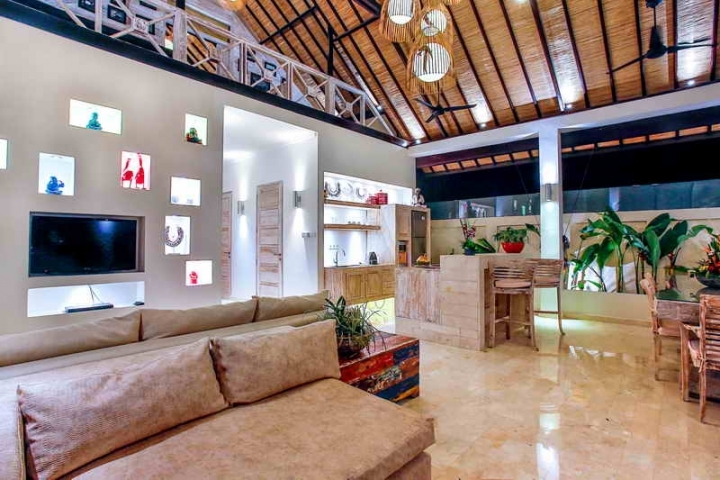 This 3 bedrooms villa with modern mix ethnic style is built on 550 sq meters of land consisting three en-suite bedrooms, two bedrooms on the ground floor and one bedroom upstairs. 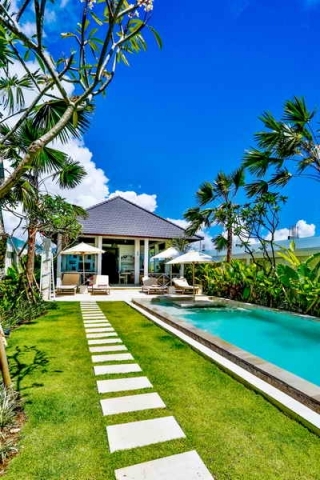 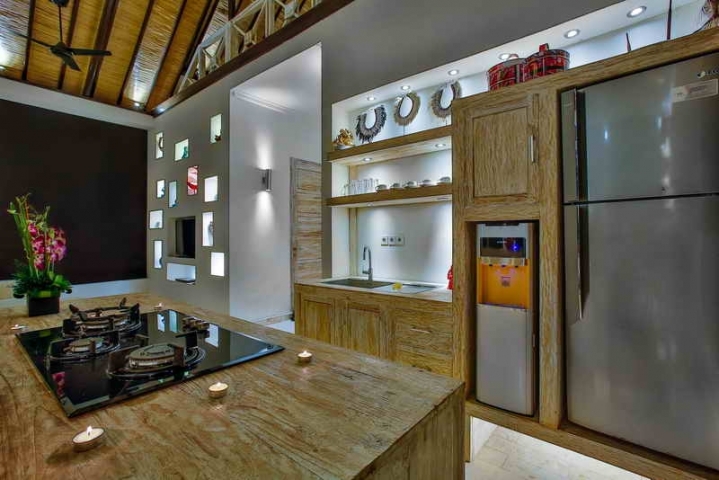 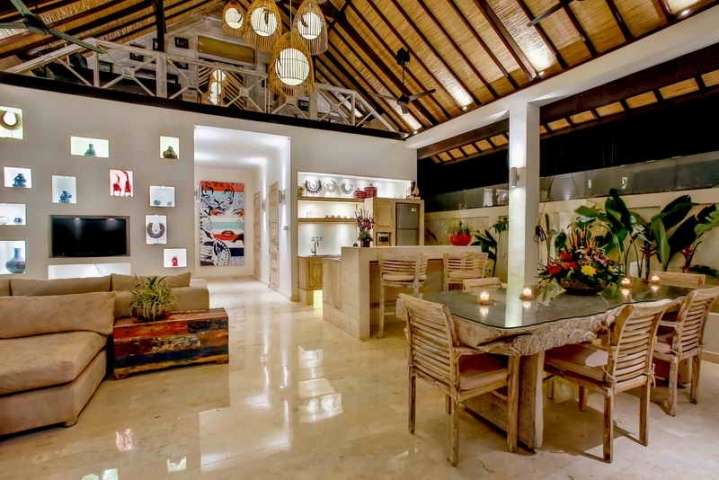 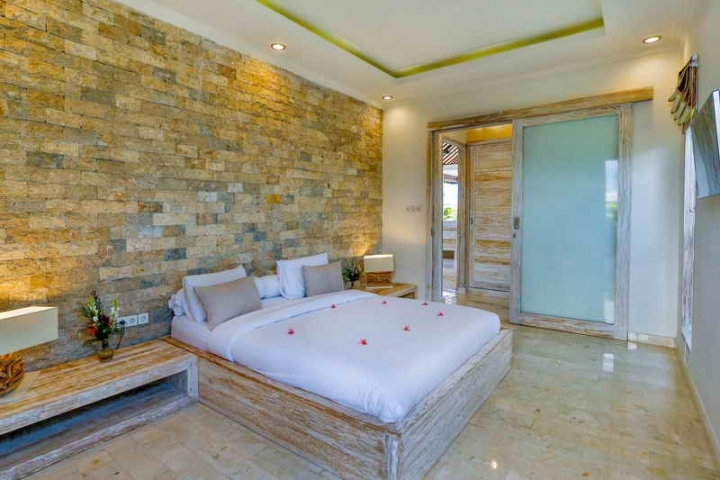 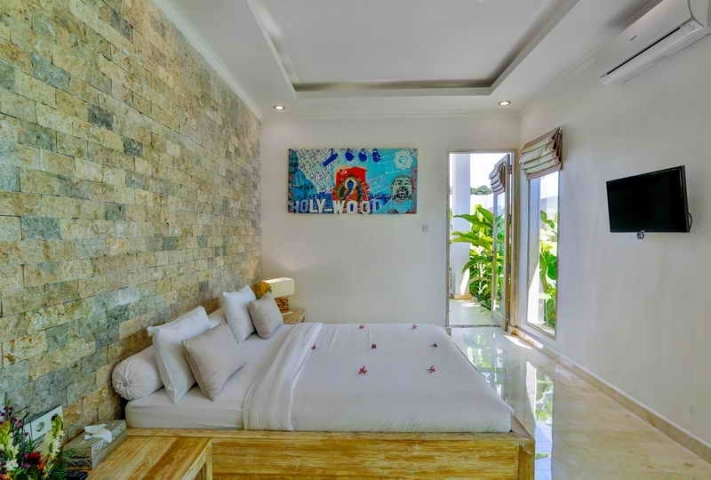 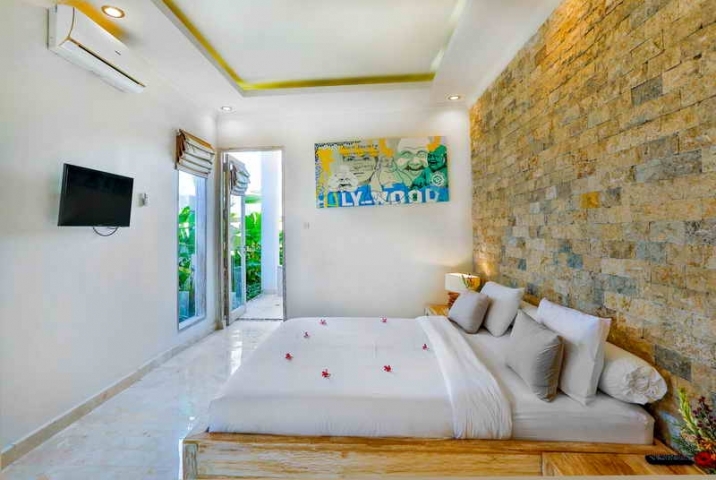 This villa features a well equipped kitchen, a cozy open style living and dining area completely decorated with nice pieces of artwork, sofa set and dining table overlooking to a lush tropical garden and pool. 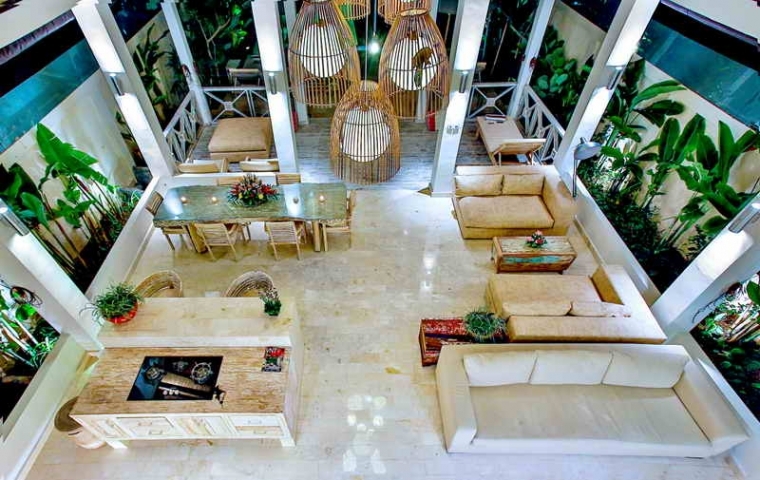 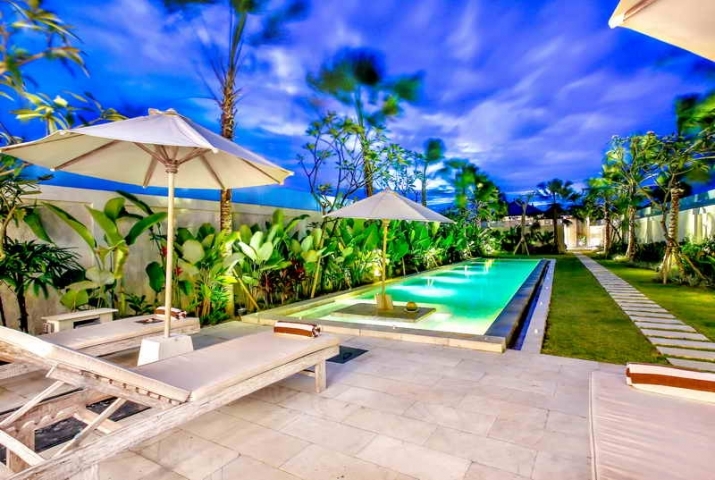 This beautiful villa is situated on the main road of jalan Tegal Cupek, Kerobokan, making it easy to go anywhere. 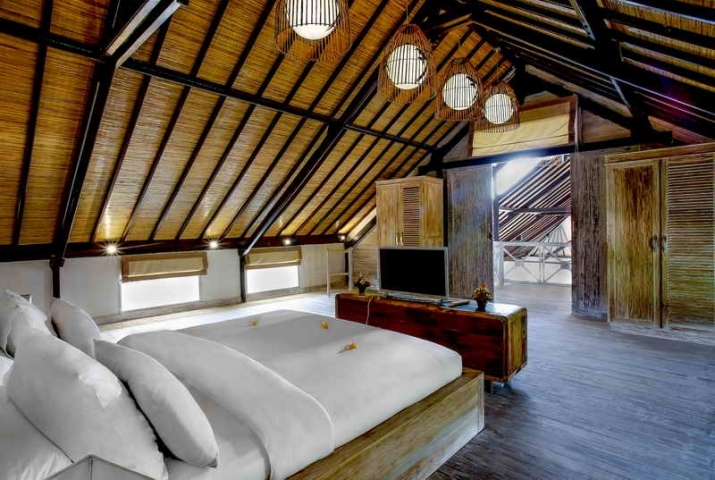 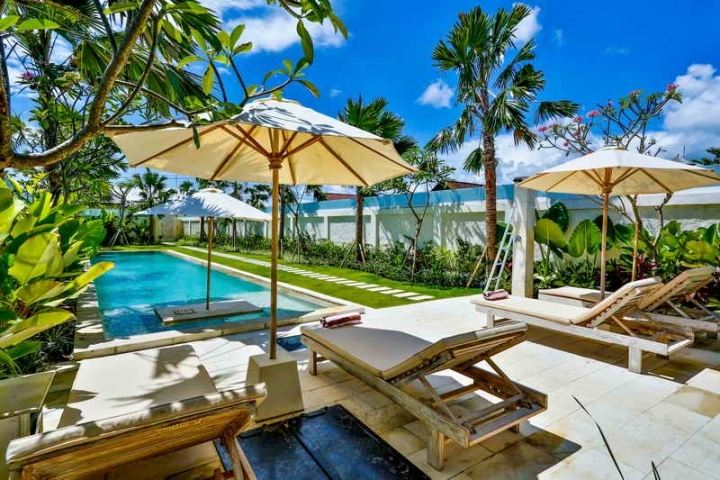 Only 10 minutes to the famous Canggu Club, Berawa Beach, Echo Beach, Seminyak and 30 minutes from Ngurah Rai International Airport. 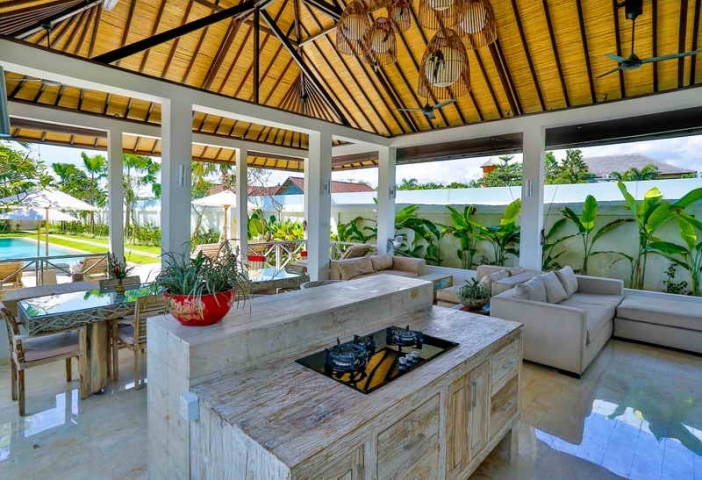 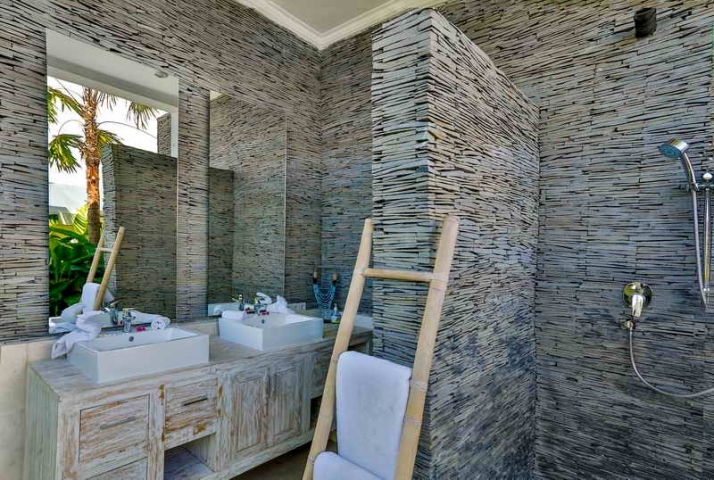 This villa offers quiet and secure surrounding, suitable for family’s living or a couple looking for privacy. 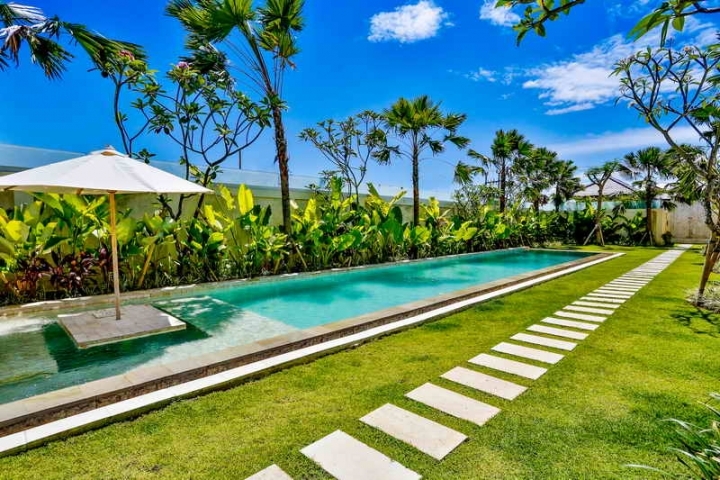 Price Leasehold in IDR 4.750.000.000.